I wish to share my designs for a multipurpose LoRa microcontroller board based on the Atmel 328P microcontroller with an RFM95W LoRa module attached and LiPo Battery holder mounted on the reverse side of the board. Details of the design including PCB and BOM are available here. 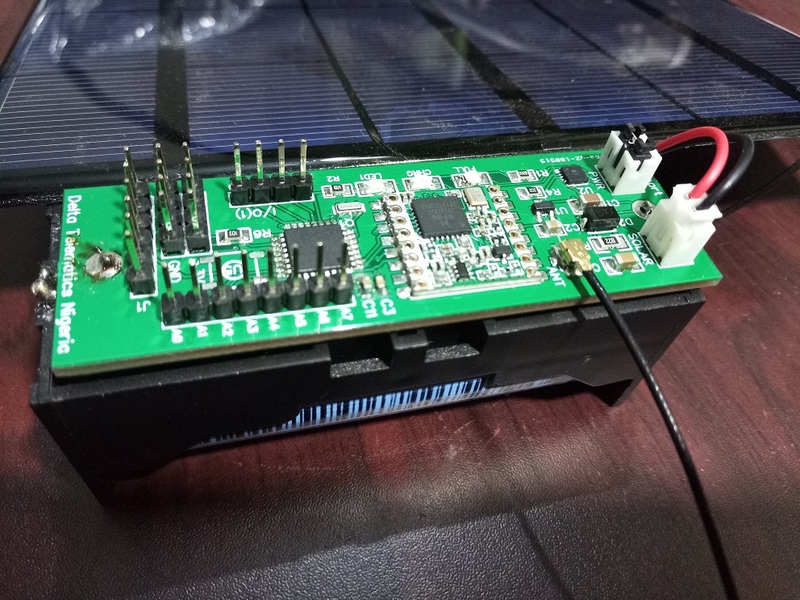 The version 2, design details available here, adds onboard solar power LiPo charger for the integrated 18650 LiPo battery, using the CN3065. 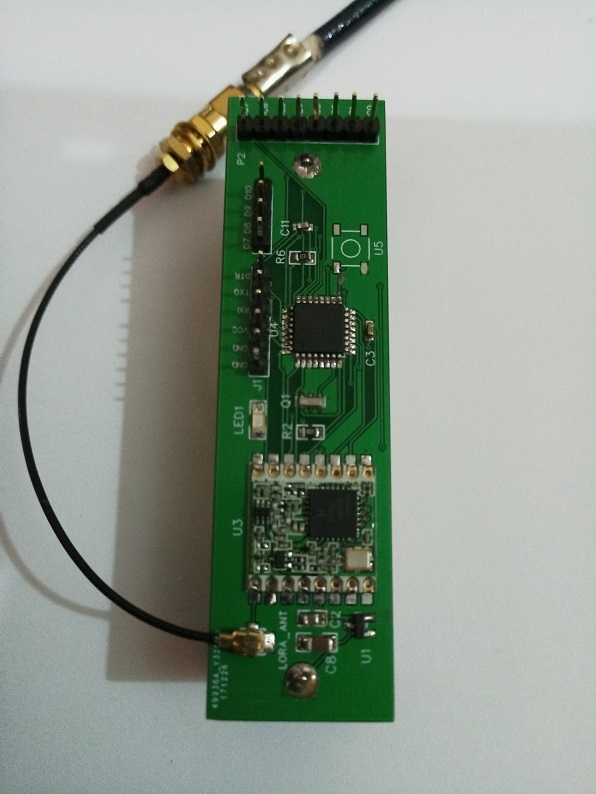 The idea is to provide a Low Cost LoRa module that makes all digital and analog inputs of the Atmel 328P available. This node can be used for prototyping. 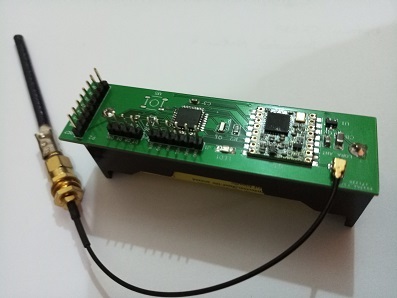 The board runs on 3.3V and the regulator on board is the MCP1700T-3302E/TT. No power LED is provided to reduce power consumption but an LED is connected to D7 via a 1K resistor. If you plan to implement this project, remember to flash a bootloader unto the controller. Usually, I do this after the controller has been soldered on the board but before the LoRa module is welded on. 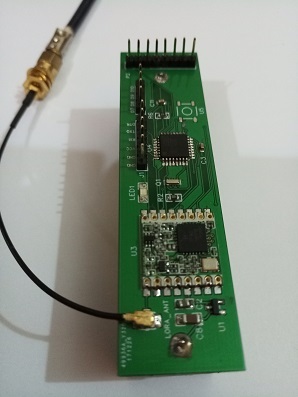 This allows you to use the pads where the LoRa module should be to connect to the SPI bus of the controller for flashing. Below are pictures of the finished version 1. Version 2 boards are currently in production. 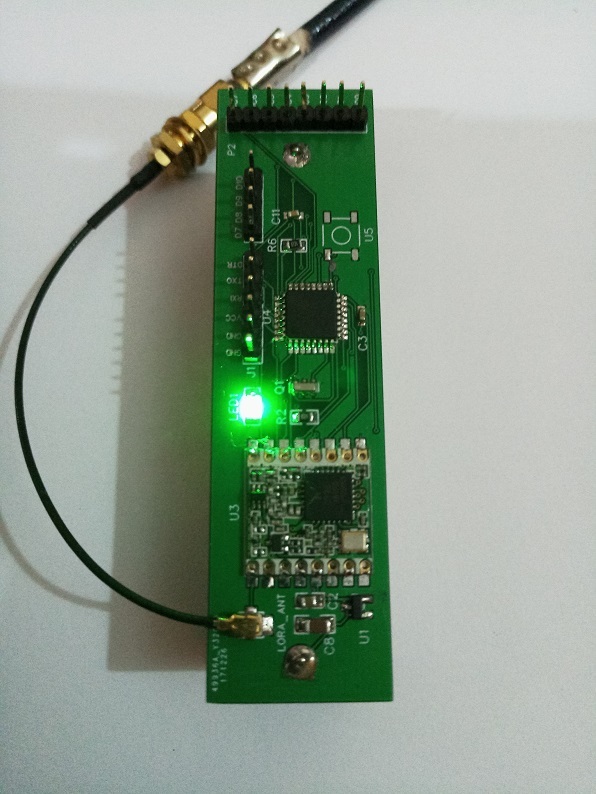 I do this after the controller has been soldered on the board but before the LoRa module is welded on. 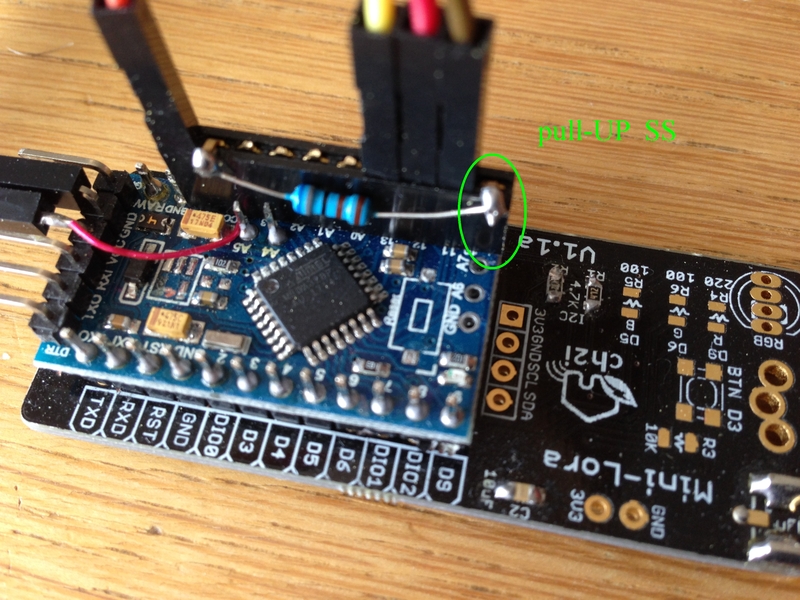 Is it possible to flash the bootloader aftersoldering the RFM95 ? In my experience, I doesn’t work. The SPI bus doesn’t respond correctly with more than one device on it. It’s possible, but you need to PullUP SS! Cool. Thanks for this info. 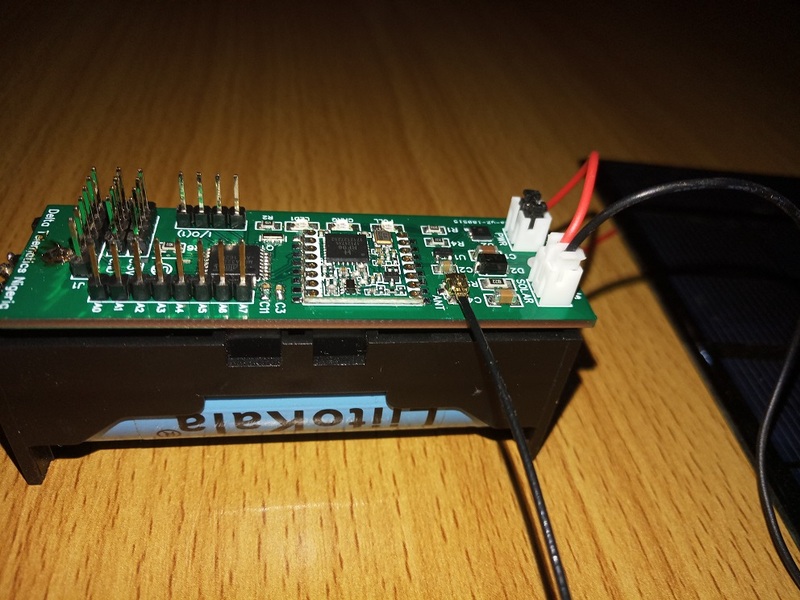 Here are some pictures of the Version 2 board, which includes connection for a 6V solar panel and solar charging for a LiPo battery using the CN3065. All unused analog and digital pins are exposed and there are connectors for 3.3V and GND on board. 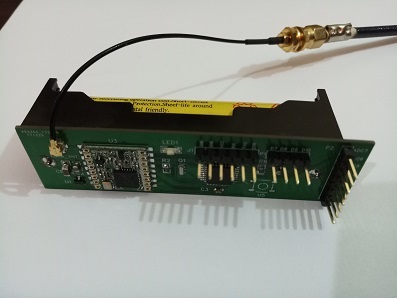 This allows connection of multiple sensors directly to the board. 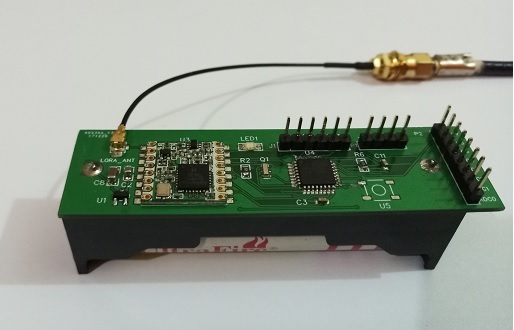 The LoRa module used if the RFM95W. When encased, we will be using multiple nodes like this to monitor motion and environmental conditions in different locations within a city. I hope people will come up with other more creative applications. I find very interesting your design. I may order some pcb’s myself. Have you tried them? It could be very interesting any comment based on experience. Any bug until now? What about battery duration? It would be great if you provide some example code. Yes I have tried them. No bugs noticed. The battery duration depends largely on application. Perhaps, if there was a standard application to be used to measure battery life that would help. The voltage regulator on board the MCP1700T has Extremely Low Operating Current for Longer Battery Life (1.6 uA typical). 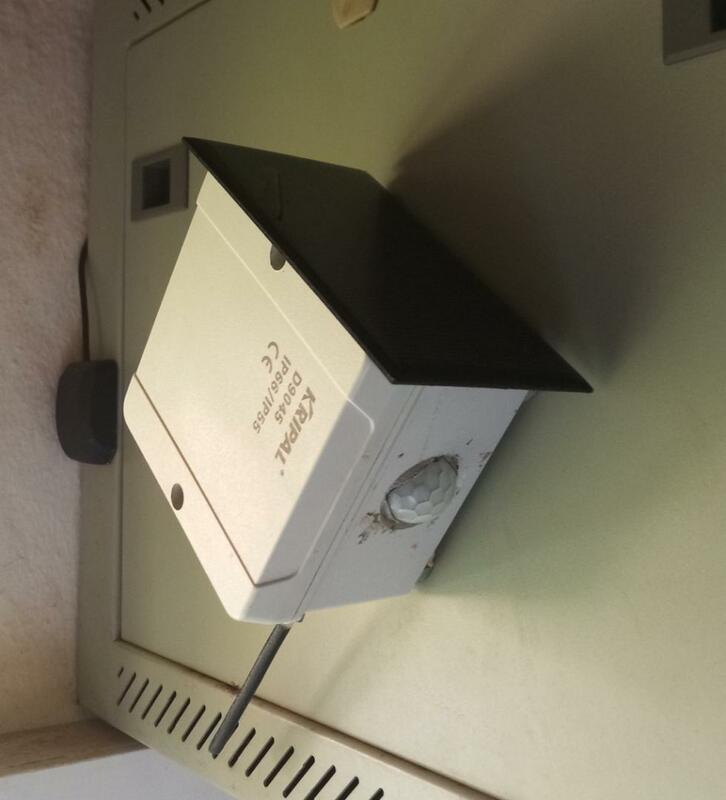 I have been running the modules with a 1.25W solar panel attached so I have never had the batteries run out. I have an OTAA node which hasn’t been in the sun for a few weeks but is still running on a 5000mAH (18WH) 26650 LiPo. Battery is currently at 3.2V. From my experience, battery life depends on your sketch. Reducing blink time for LEDs, increasing update interval etc, all help to increase battery life. this project fits into our current project plan for a dynamo based cargobikometer (kilometer counter) for a prototyp for our free cargobikes of flotte-berlin.de. The counter uses the dynamo frequency for calculating the distance. With an extra solarmodule attached on the cargobike, the battery will be charged, if the cargobike is not moving and charged by the dynamo. Sounds interesting. Will you be transmitting the readings over LoRa? I will like know how it works out. The schematics and gerber are free to use and modify. 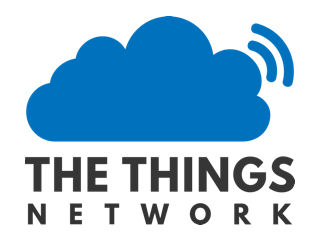 Yes, that is the plan, transmitting the collected data via LoRaWAN to our own intenet server. The counter uses the dynamo frequency for calculating the distance.